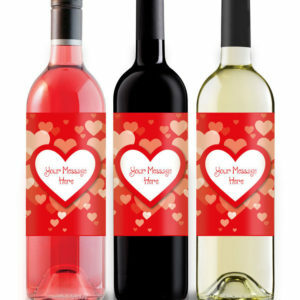 The label is printed with ‘Just Married’ in a large heart. 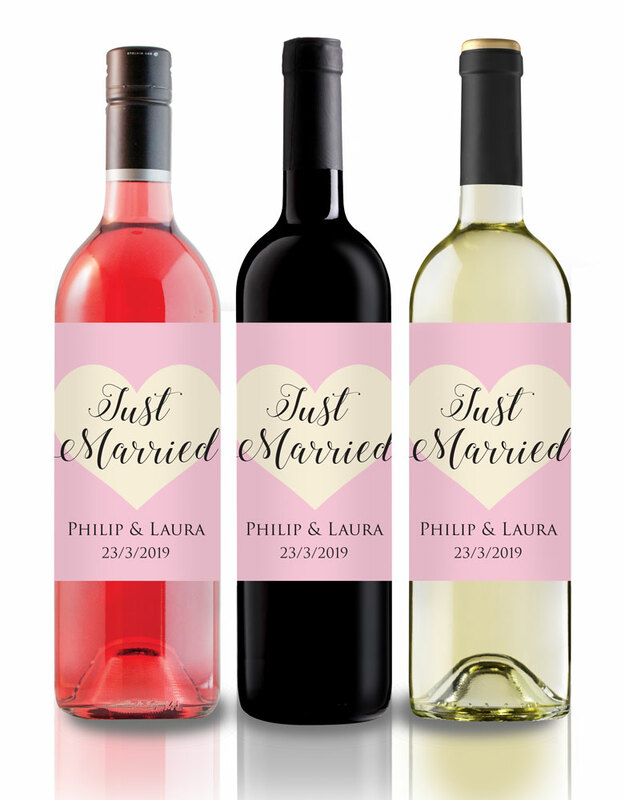 3 different colour options available, let us know if you require a different colour! 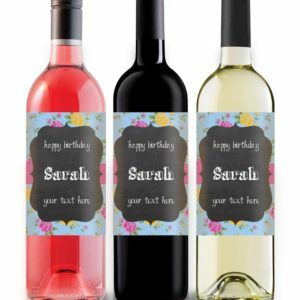 There is an option to personalise your label with wording of your choice. Great idea for a wedding gift or wedding reception. 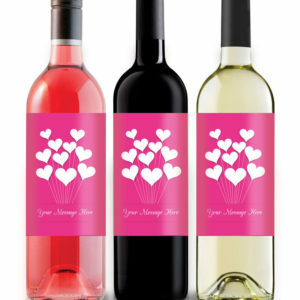 Personalise your wine label with the information and heart colour of your choice. 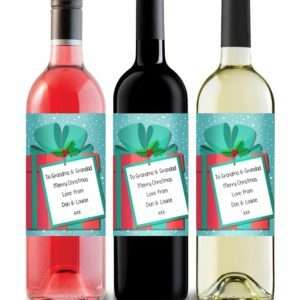 The image gives an accurate representation of how the labels will look on different wine bottles, please note this listing is for 1 wine label, bottles are not included in the price. Don’t forget to provide us with the details of your personalised message!